At Carving Magazine we are passionate about everything in the carving world. Wood, Wax, Stone, Bone, Ice, Pumpkins or other Fruits and Vegetables - we will get this covered. Carving Magazine can be used to create wonderful carvings by following the step-by-step instructions or it can be a source of inspiration to get your blood moving again. 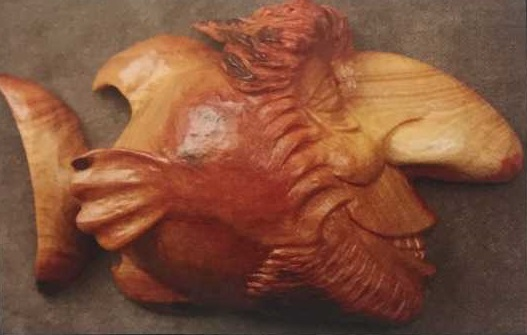 We will also publish regularly interviews with carvers, tips for beginners in the carving, step-by-step DIY projects, videos, patterns - everything that you need to get you inspired for your next carving project. Every carver needs his tools so we will get this covered as well with tips from experienced carvers who will share with you what sets, knifes and tools they use to create their beautiful artwork. 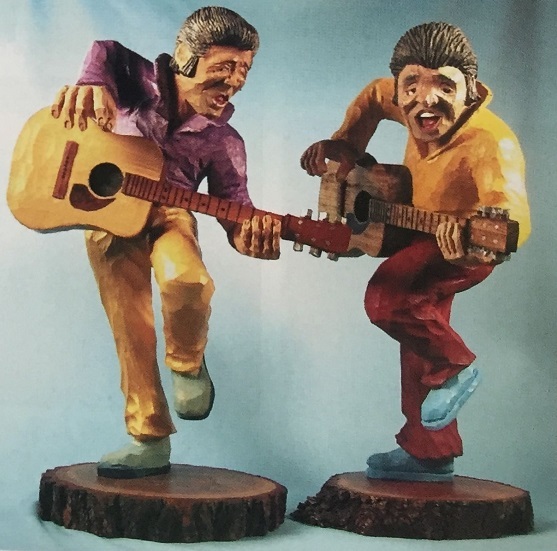 If you have a project idea or know a fantastic carver that needs to be shared with the world, be sure to get in touch with us. Important notice: CarvingMagazine.com has is a fan site made by carvers for carvers, we do not publish backissues or sell anything on the site. All the articles are only for educational and enjoyment purposes. CarvingMagazine.com is a participant in the Amazon Services LLC Associates Program, an affiliate advertising program designed to provide a means for website owners to earn advertising fees by advertising and linking to Amazon.com, and any other website that may be affiliated with Amazon Service LLC Associates Program. We only provide links to related products that we have researched and have been recommended by our readers and experts, so even though we get affiliate commission if you buy something from our affiliate partners, we can assure you that we do our best to provide you only the top of the carving tools, sets and related products. If you think that some information on the website is not accurate or can be improved, please do not hesitate to get in touch with us, we love our readers feedback. 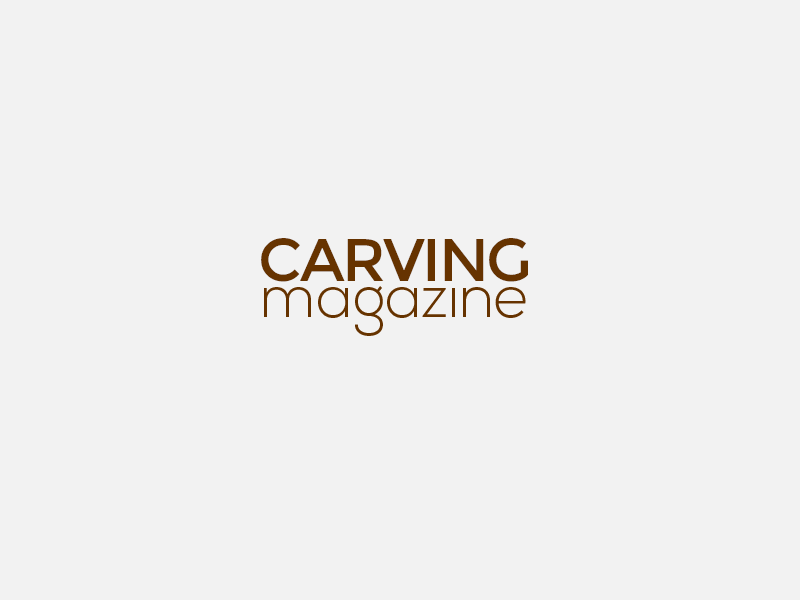 If you opt in to our mailing list, you will recieve important updates about the magazine, our selcted carving articles, news and reviews about tools and relevant offers and infromation only closely related to the Carving Magazine. Your e-mail is safe with us. We will never ever sell your contact info or give it away to anyone, period! At CarvingMagazine.com we use technology known as “cookies” and web server log files to collect info, such as date and time of your visit, what pages you looked at and the time your spent on each page, etc.. Under no circumstance can any content on this website be copied or reproduced in any way. This includes any of the free carving DIY projects and videos that are hosted on the domain, http://www.carvingmagazine.com. If any person or company does use the owner of this websites name, video, or blog content without getting written consent from the site then legal action may be undertaken against the offending parties. CarvingMagazine.com respects the intellectual property of others. If you believe that your work has been copied in a way that constitutes copyright infringement, please follow our Notice and Procedures for Making Claims of Copyright Infringement below. If you believe that you hold a claim of copyright infringement against CarvingMagazine.com, submit notice of your claim to the following Designated Agent: info [at] carvingmagazine . com with subject DMCA notice or the form below. Identification of the material that you claim to be infringing and information reasonably sufficient to permit CarvingMagazine.com to locate the material. Information reasonably sufficient to permit CarvingMagazine.com to contact you, including your address, telephone number, fax number and, if available, an electronic mail address. CarvingMagazine.com will respond to any DMCA complaints in a timely manner. Should you be the copyright holder of a specific piece of content featured on this site without your permission, CarvingMagazine.com will remove it in a timely manner once notified. We discovered Gary Burns while checking out some Internet websites and this pine knot fish jumped out at me. 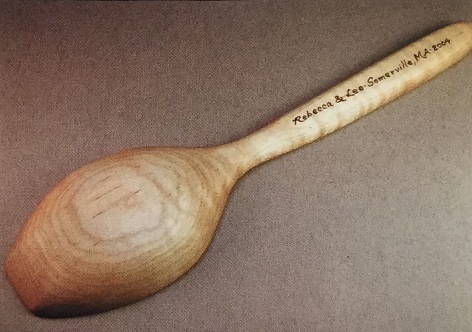 We immediately thought that the readers of Carving Magazine would enjoy this creative project. SeaBastion the Fish can easily be adapted for hand tools as well...have fun! If you were a teenager in the 1950s as I was, this project may bring back some fond memories. The 50s was a great era in which to grow up. It was a time of relative peace and prosperity and rock-a-billy was our music. Remember Gene Vincent and the Blue Caps? 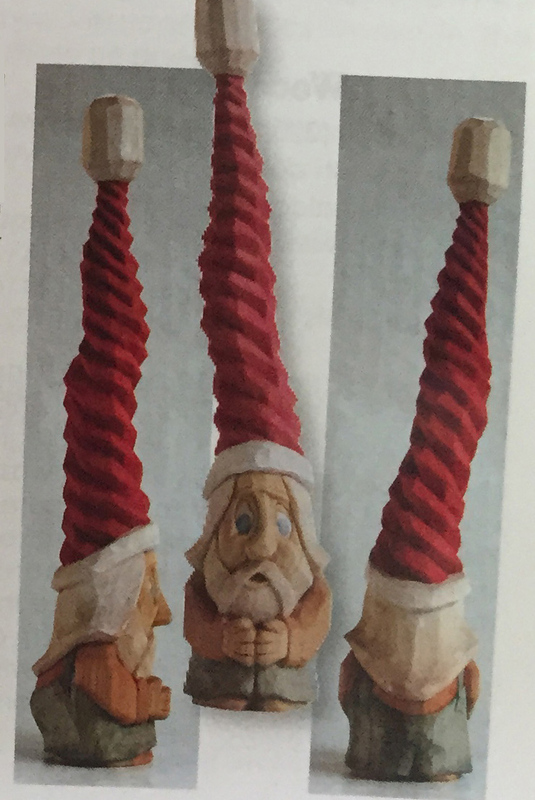 When I have displayed gnome home bark carvings, I have been frequently asked, "What do the gnomes look like?” Well, way back in the annals of time, I had whittled out a few "tomten" (actually a lot of them), which became my gnomes. They had tall hats which were sometimes crooked and sometimes decorative, and I gave them away to collect dust on someone else's shelf. My tomten/gnomes had big loopy cartoon eyes, crooked noses and, in fact, crooked, uneven everything. If you are lucky enough to find gold at the end of a rainbow, you can bet that there just may be a leprechaun hiding close by guarding it. 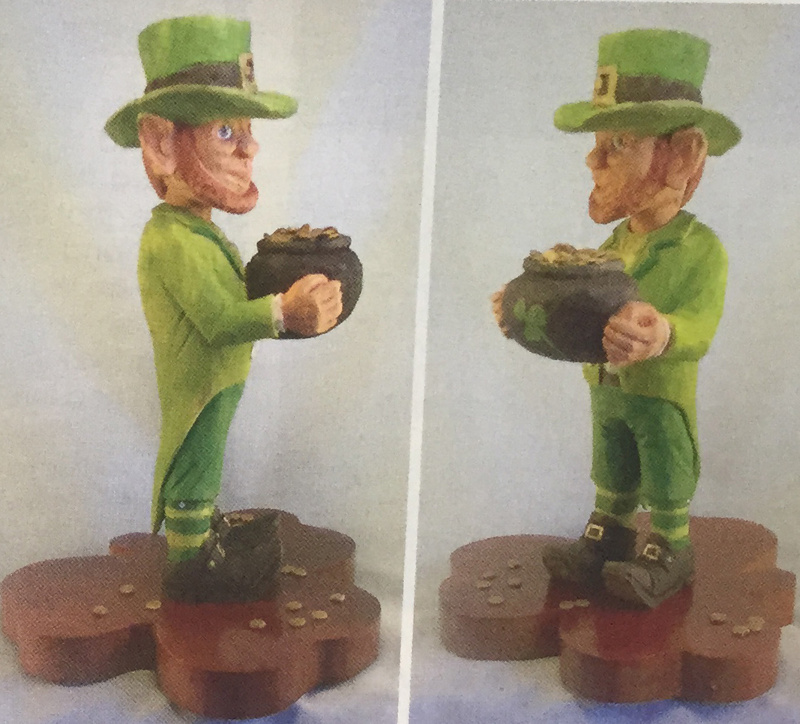 For those of you who aren't prone to chasing Rainbows, you can carve this fun project from William Gray and have a leprachaun and pot of gold of your very own.